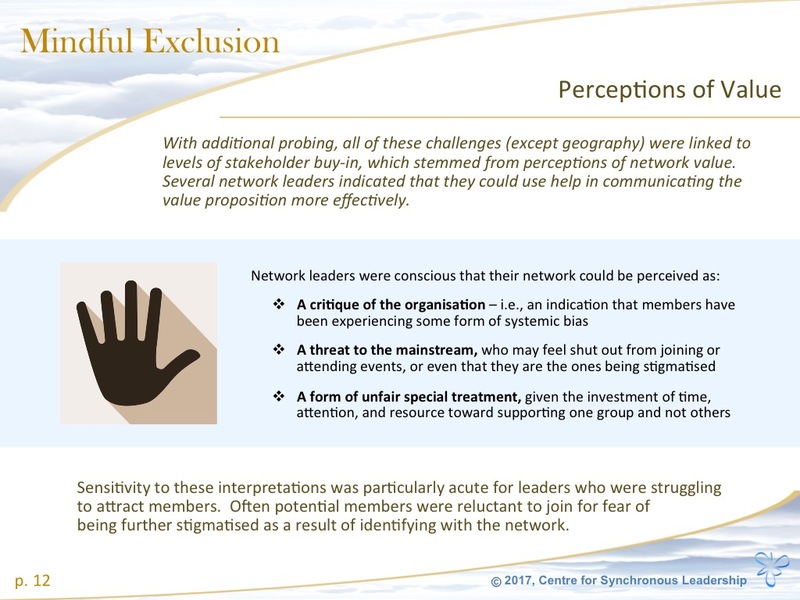 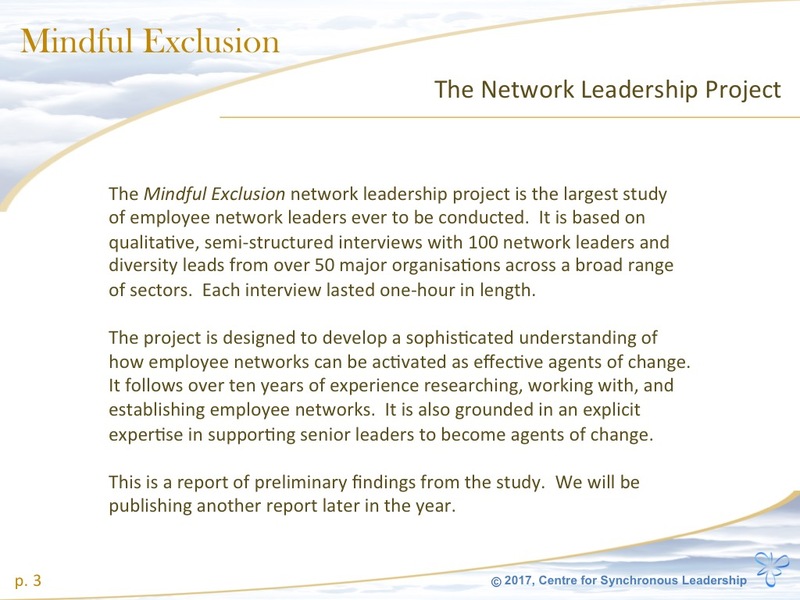 Here is a preliminary report of findings from the Network Leadership Project, as of February 2017. 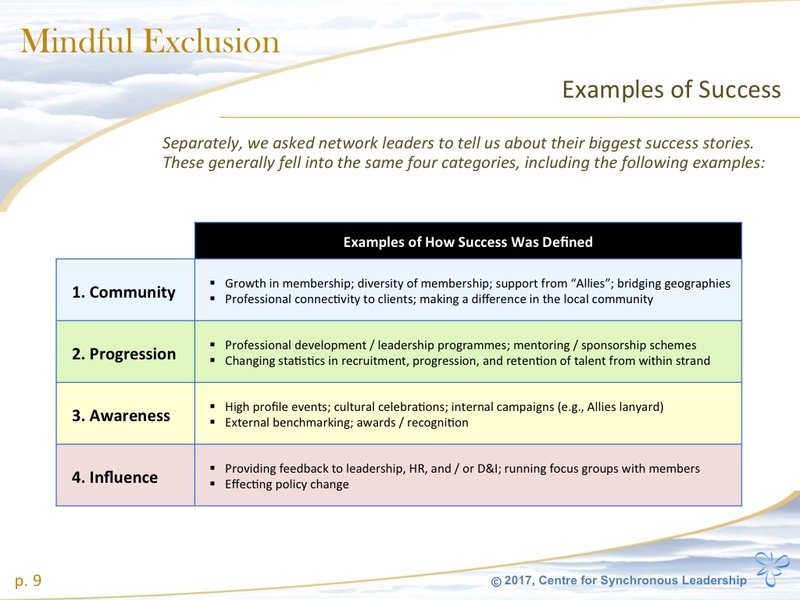 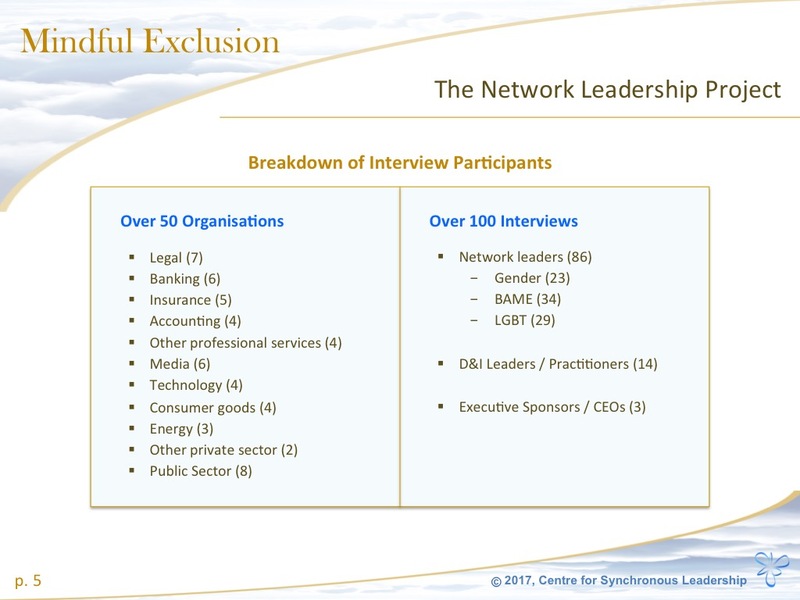 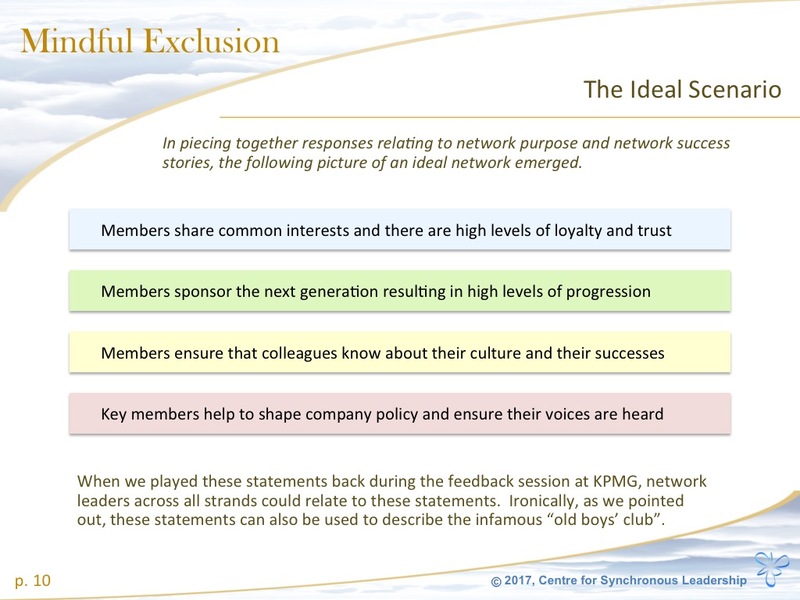 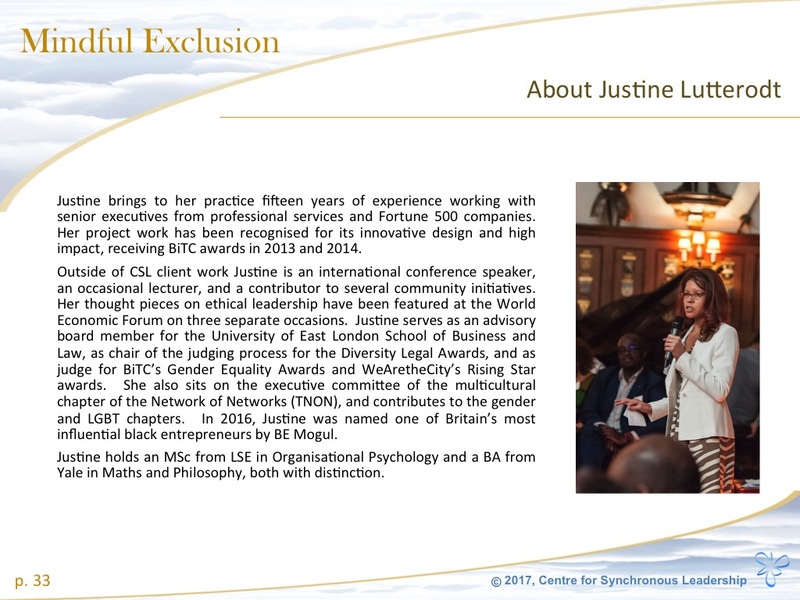 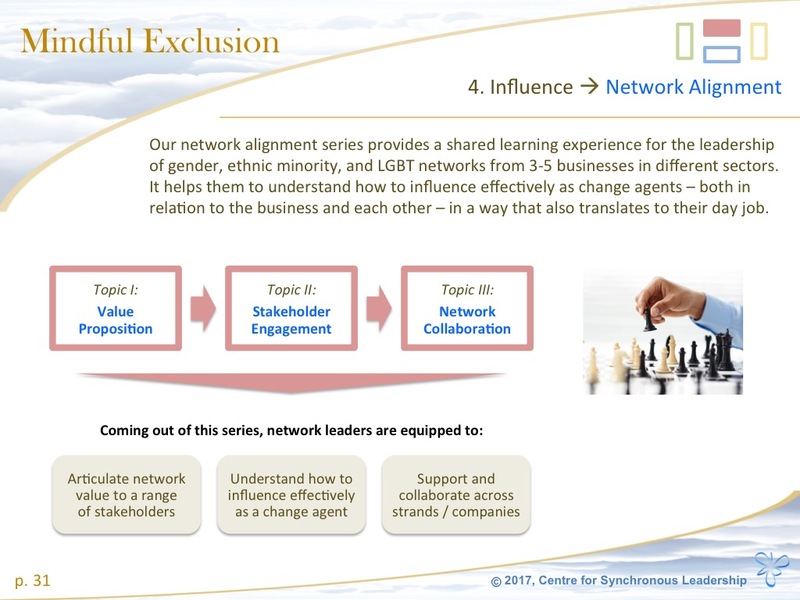 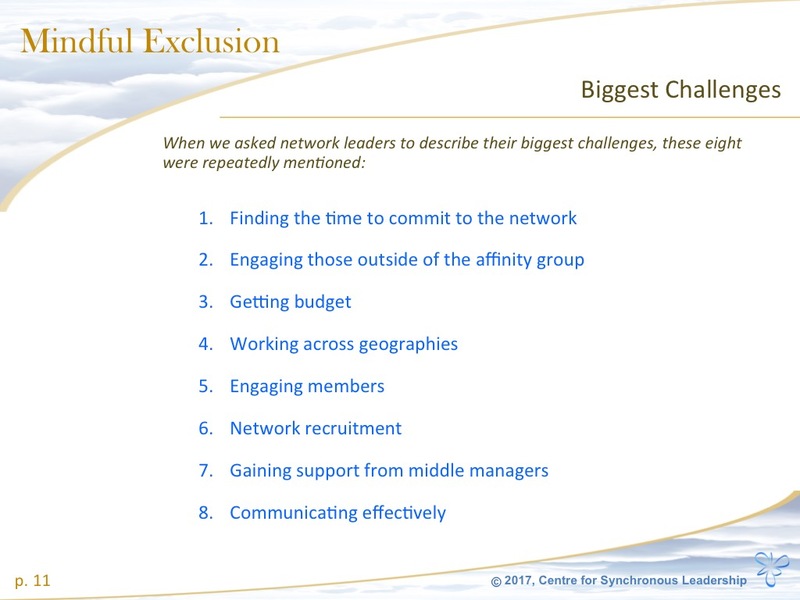 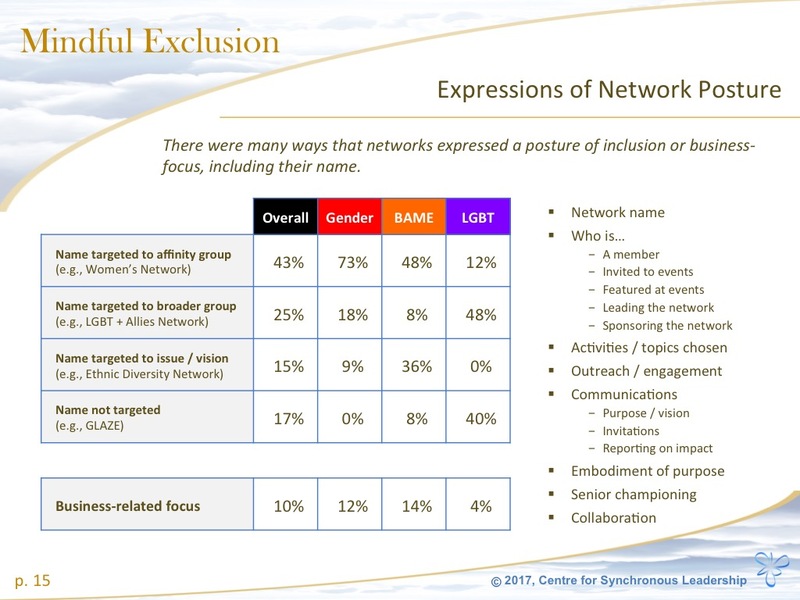 This is the largest qualitative study to be conducted with employee network leaders, including over 150 gender, ethnic minority, and LGBT network leaders, sponsors and D&I leads across over 60 major organisations in the UK. 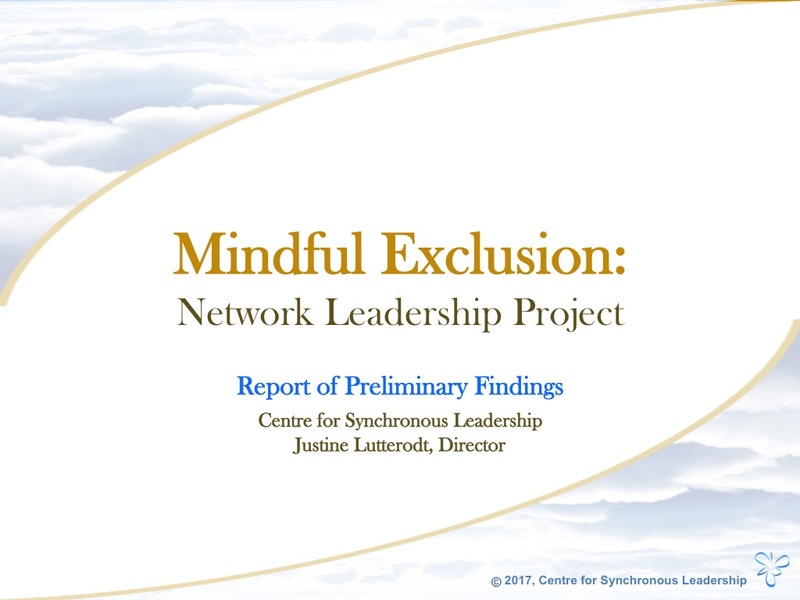 The final report will be released in early 2018. 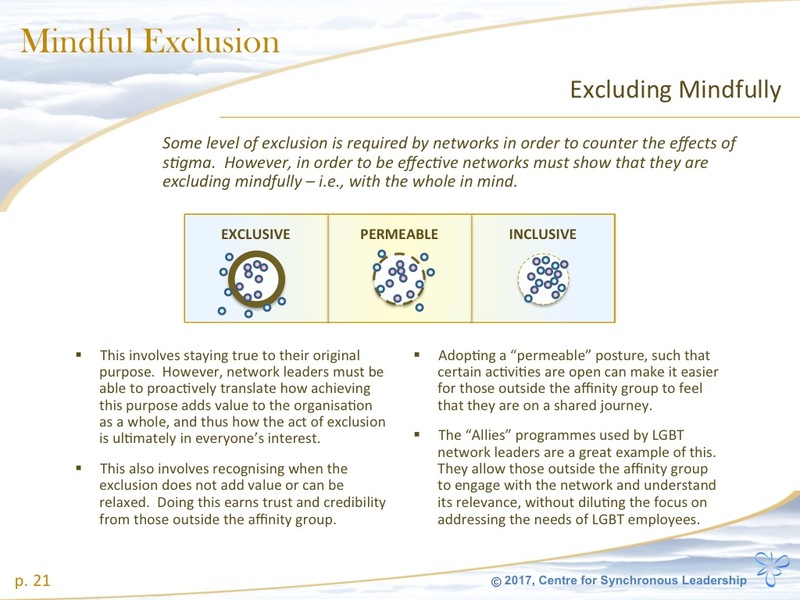 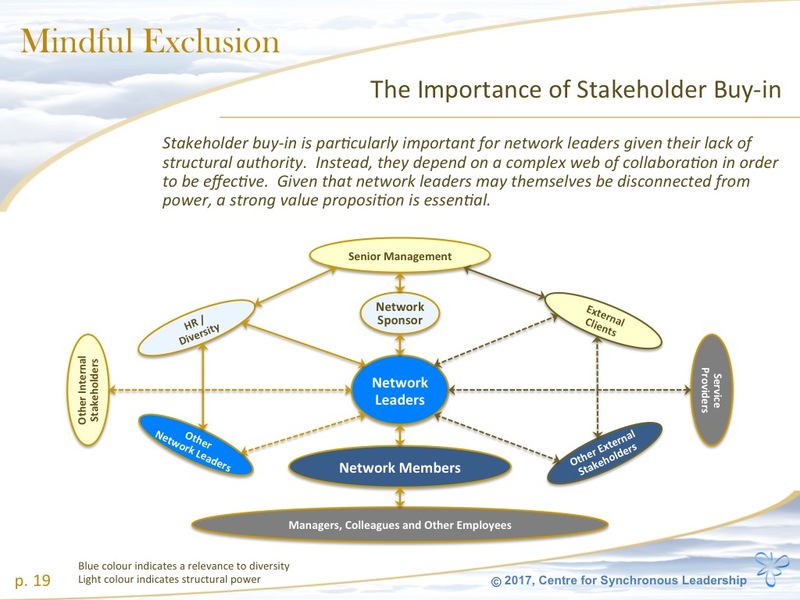 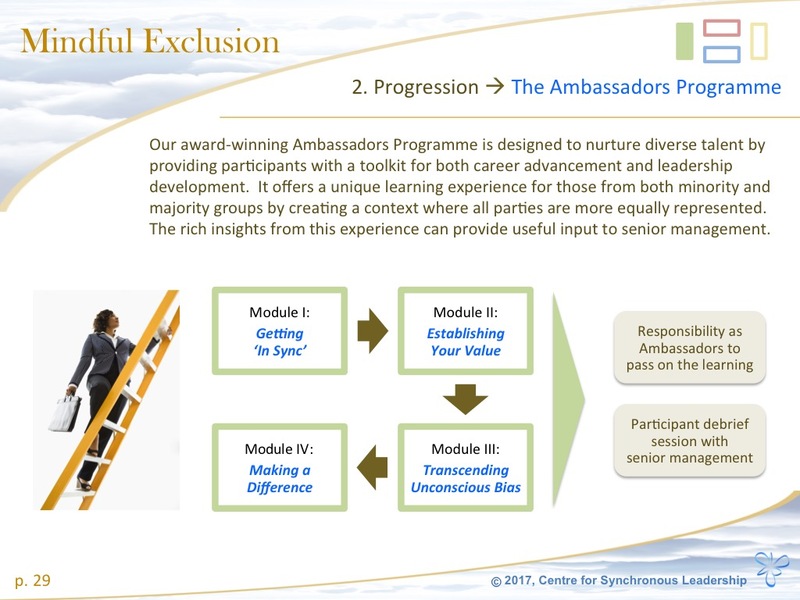 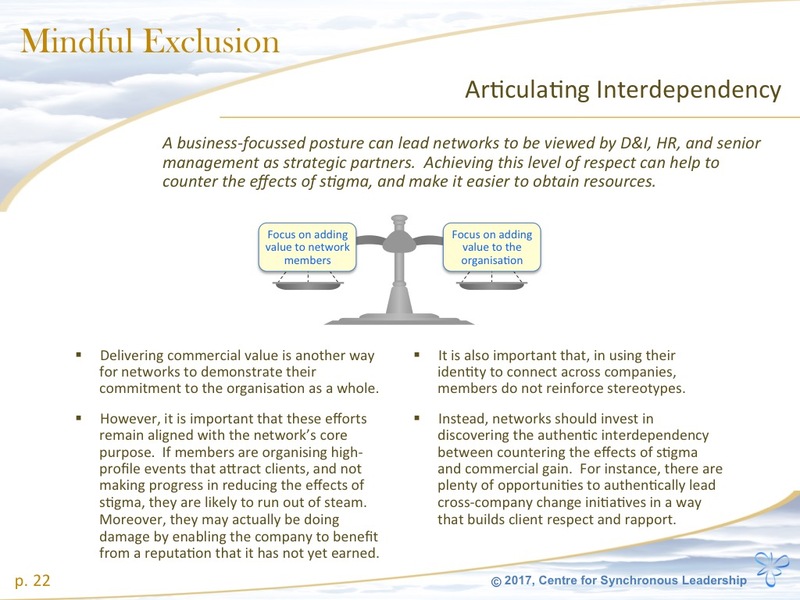 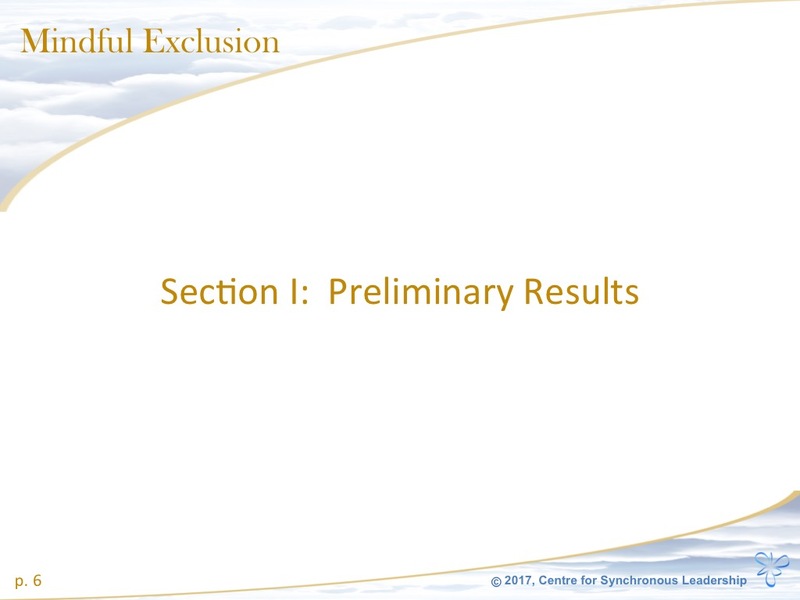 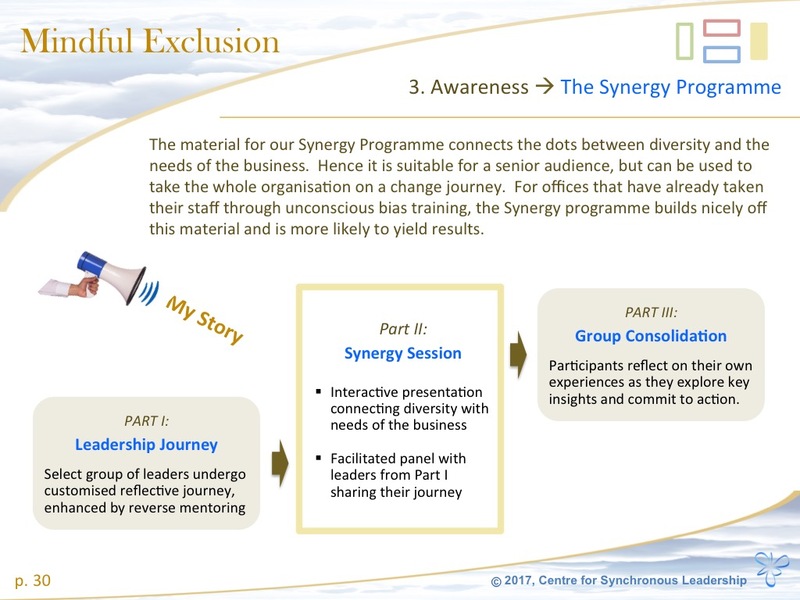 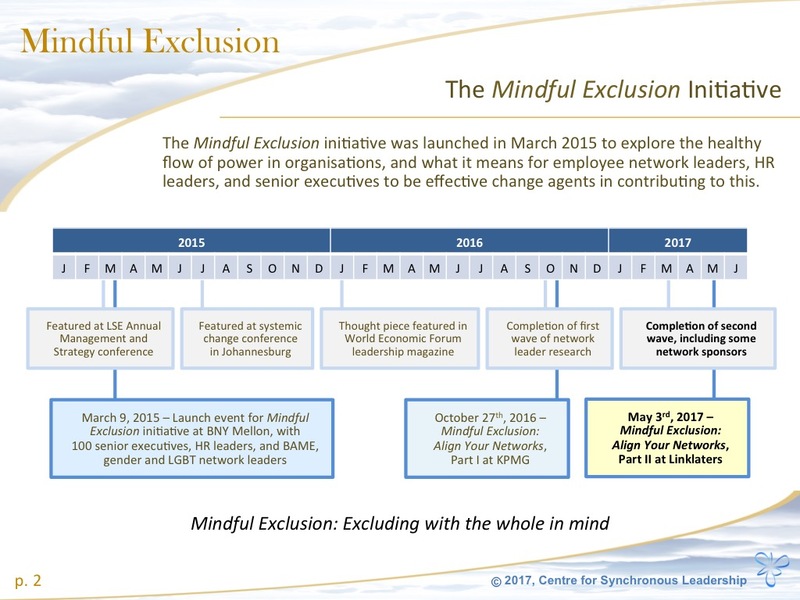 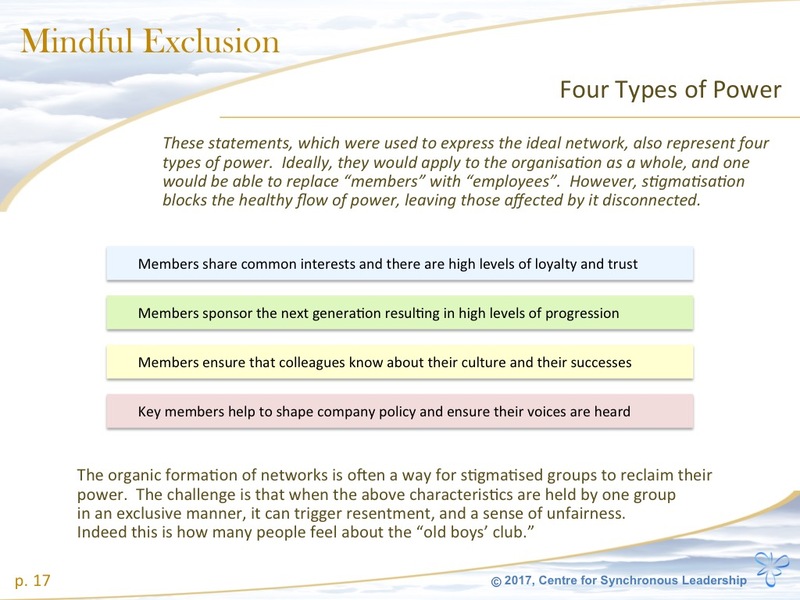 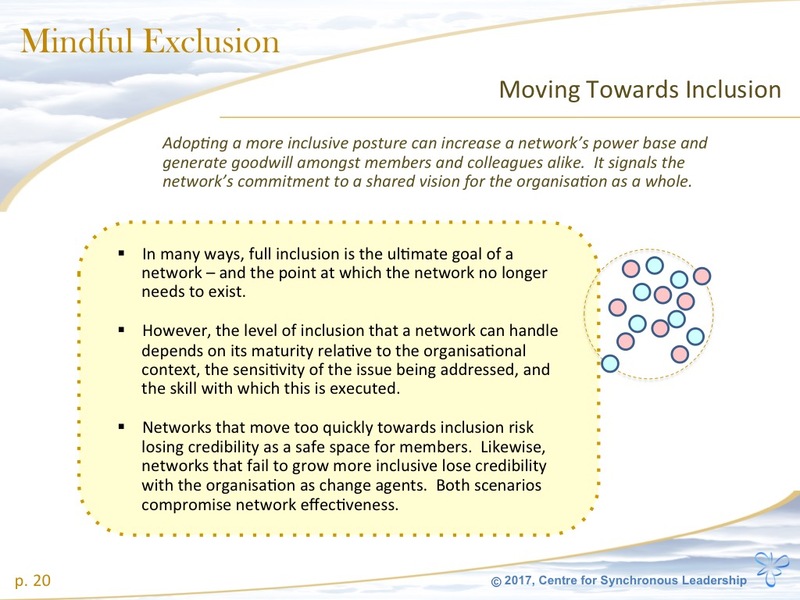 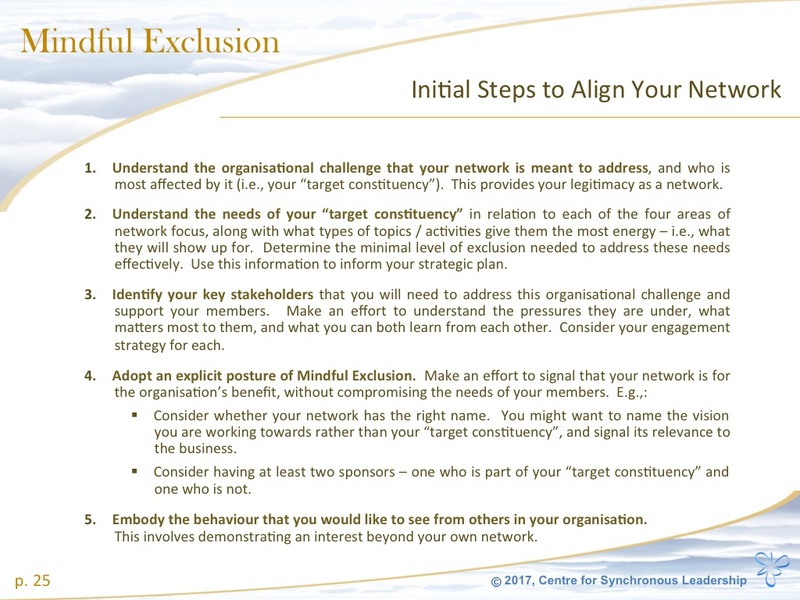 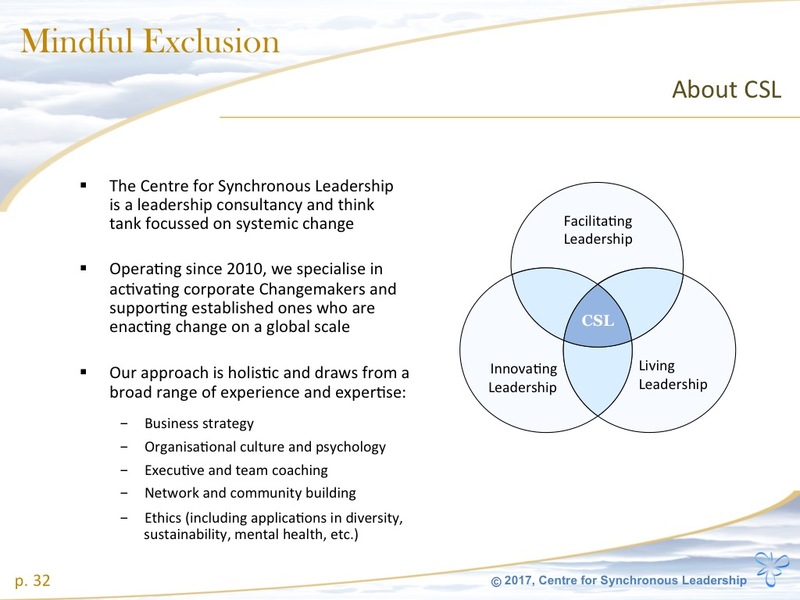 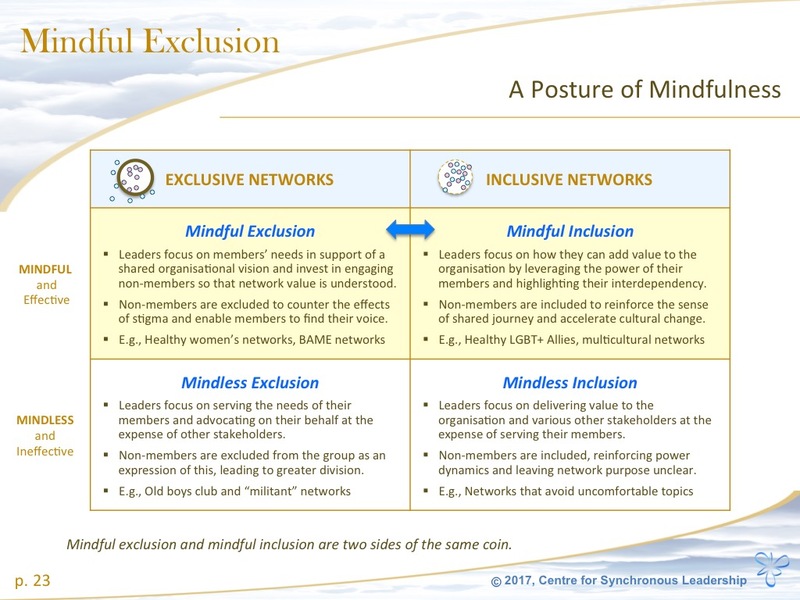 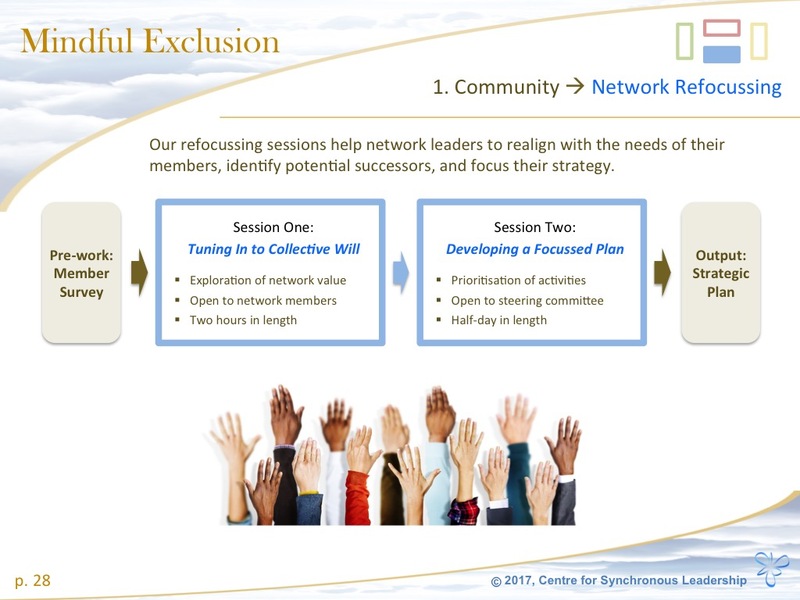 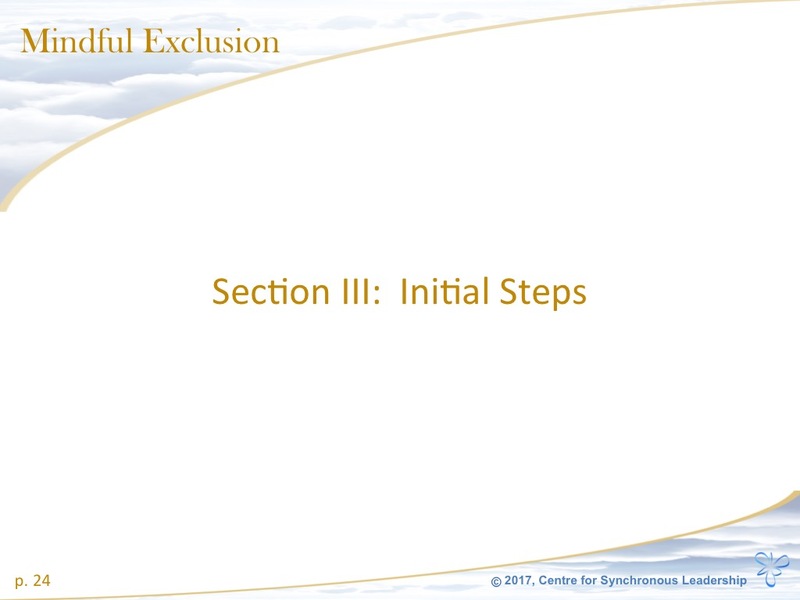 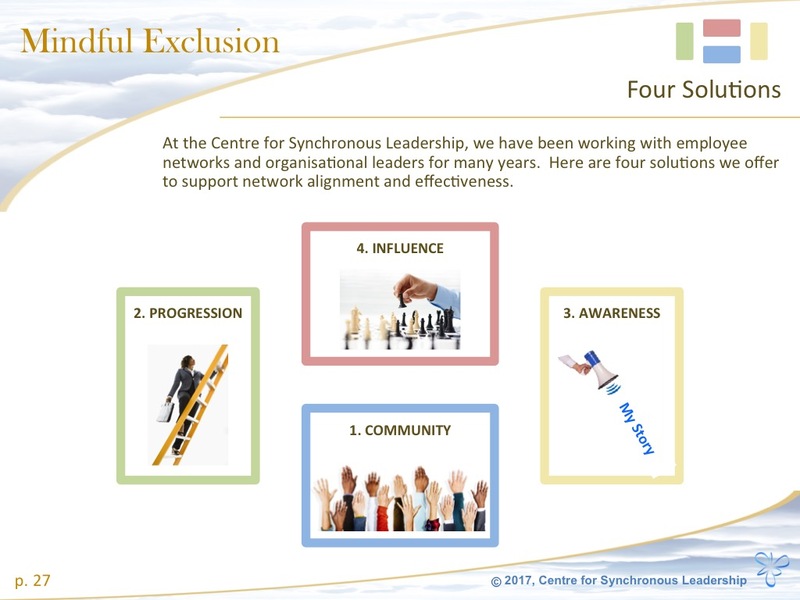 The objective of the larger Mindful Exclusion initiative is to explore what it means for power to flow through an organisation in a healthy manner. 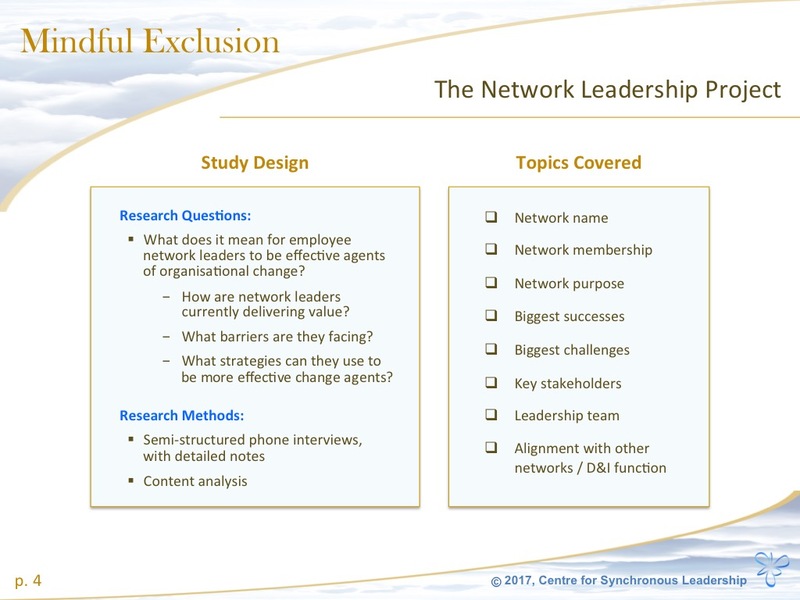 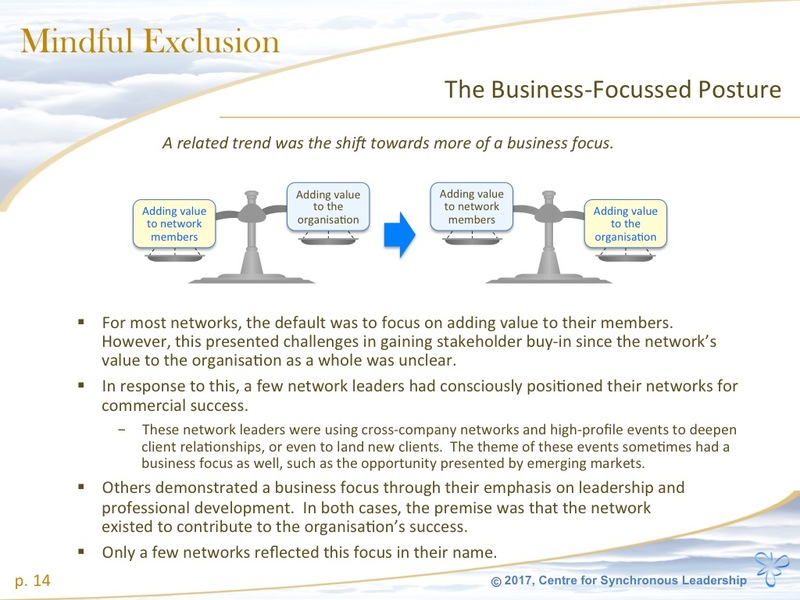 In particular, we are examining how employee network leaders, HR leaders, and CEOs can become effective agents of organisational change in contributing to this.